I first began my genealogical researches back in 1962, when I was only 14. For years I knew far more about my mother's lines, the Joneses and Clearys, than I did about my father's. However, the Joneses and Clearys were all immigrants from Ireland (though the Joneses had a Welsh origin), and came over in the years after the Great Famine: the Joneses in the late 1850s and the Clearys by the 1860s. As a result, the lines quickly run back to Ireland, and one runs into the problems of doing research in Ireland. Not only is it on the other side of the water, but my namesake, the Irish leader Michael Collins, opened fire on the Inns of Court back in 1922 and managed to burn most of the public records. Thanks. But I still know a great deal about this side of the family, who are particularly dear to me. I'll be gradually putting up more and more information as time goes on. 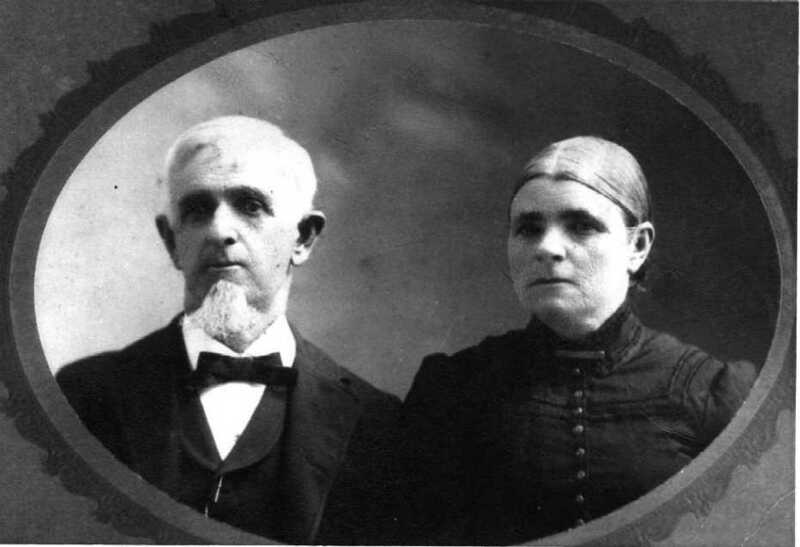 (Those are my great-grandparents above, John Jones and Frances "Fannie" Reilly Jones.) The beginnings are now available for the Jones side and a beginning on the Clearys, and also in the meantime please do go to the database to learn more about what I know or think I know.